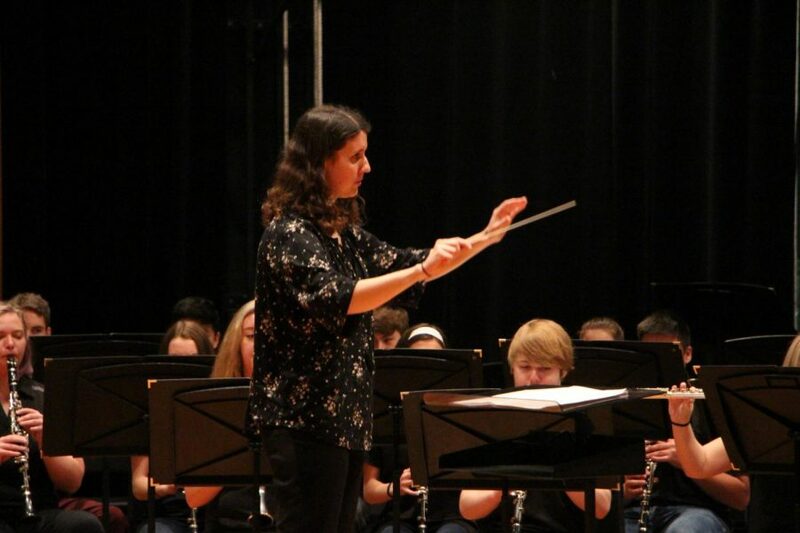 With arms lifted, assistant band director Laura Bock conducts her students. 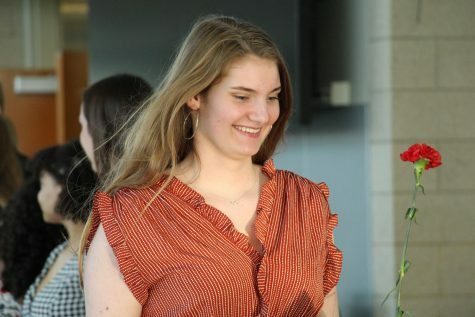 She conducted the band through two songs at the band festival on Thursday April 4. Reading her music sheet, freshman Grace Krone plays the trumpet. 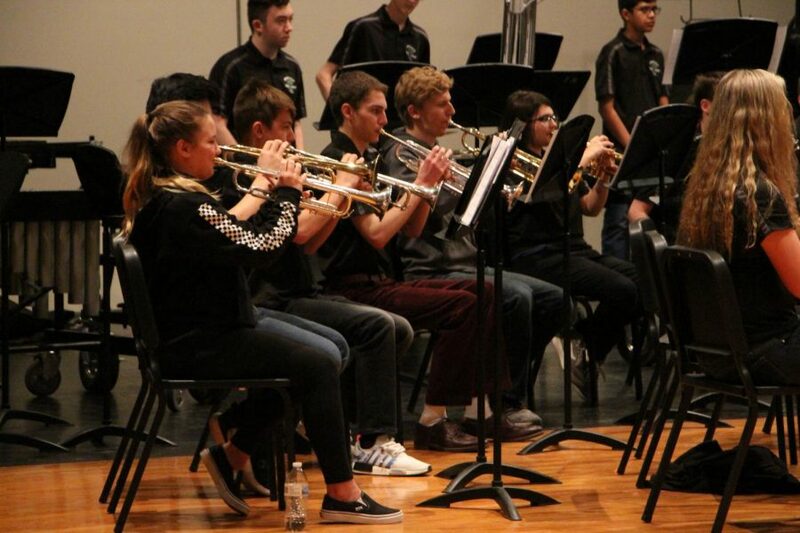 The concert band performed at their home band festival on Thursday April 4.